I can only say: "WOW!" as I read this column. I normally scan through for English grammar woes, misspellings and otherwise awkward texts and I have to admit, even I was surprised by this gem. I initially thought that this one term but after going over it a couple of times I realized that it wasn't. To be fair 'skittish' is an old word, so at least it has history on its side--dating back to Middle English, probably originating from Old Norse (Merriam Webster Entry: Skittish). 'Woo', on the other hand is an even older word, predating Middle English having Old English roots (Dictionary.com Entry: Woo). Side by side, these two excellent words, loaded with potential really sound strange. I wondered if they should have been hyphenated? Should I look up hyphenation rules on Wikipedia?... Woo-skittish. Ahh...Now that feels better. 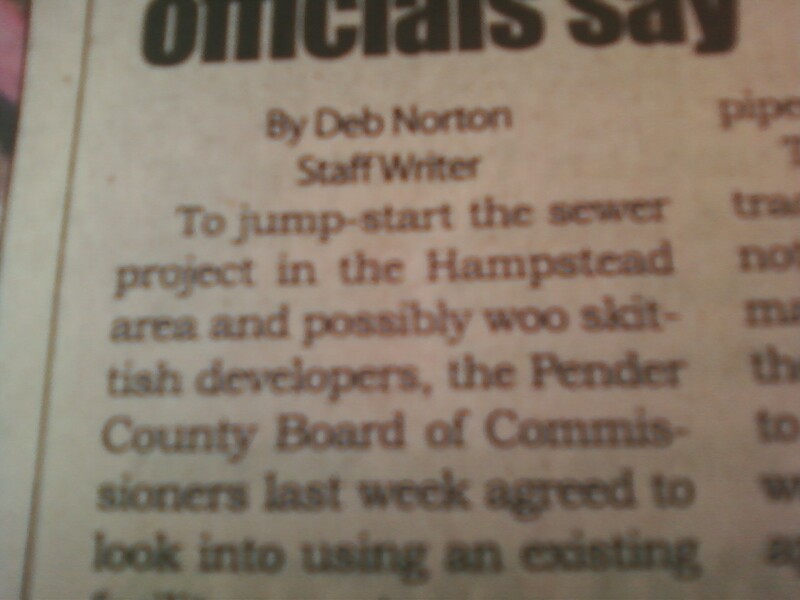 But 'woo' is a verb, no doubt about it, all hyphens aside. 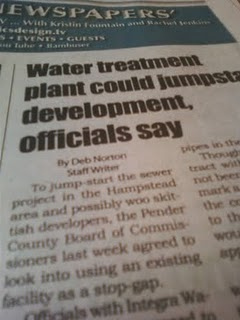 "To jump start the sewer project in the Hampstead area and possibly woo skittish developers, the Pender County Board of Commissioners last week agreed to look into using an existing facility as a stop-gap." 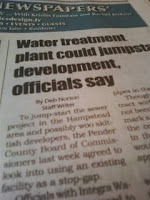 (Pender Chronicle, Volume 116, Number 17. Wednesday, April 27th 2011). My advice to the reader? Avoid using these two words together at all cost. Brainerds Investment Article on Loan funds. I wish that I could say that I haven't done the same thing by accident recently... At least we didn't write 'woo skittish' on the front page of a newspaper. That would be wayyy worse. 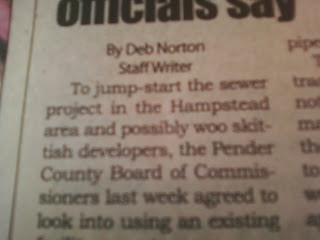 ..woo skittish developers... that actually doesn't sound too bad. Woo skittish is fun to say. I could use it out of context as a swear. Woo skittish, I hit my toe! You woo skitting idiot! Woo skit! Jay, I knew someone wasn't going to like it... I just didn't think it would be you! No, I'm just kidding. I didn't like it but I like some really strange things at times. I'll try to find more awkward ones in the future! D4, "Don?! That motha f%#($# woo skittin' crazy!" Hahaha. Perhaps like that? Or perhaps, "To all woo skit motha #*%%#@#(, to all woo skit God #%(@" to the tune of Lil John's "Get Low". I seriously think that I have to re-learn my Eglish! I mean, English. I guess this one isn't really that bad but sometimes I find 'Eglish' that really makes me cringe! Sometimes I think I need to re-learn it too, I swear I do.